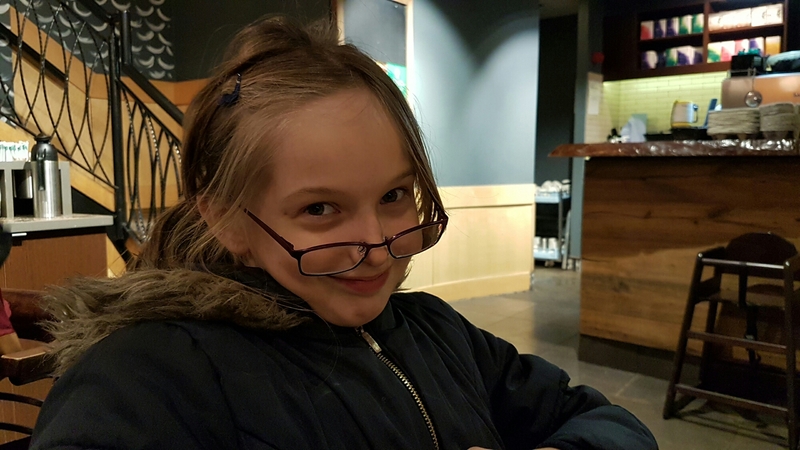 My nine year old daughter, Bunny, had an eye test 2 years ago. To our surprise, we found out that she needed glasses and very strong ones at that. We also found out, that I needed glasses too! Our journey with glasses, however, was not particularly successful. Bunny was given two pairs of glasses, one pair insured, the other not. As soon as we got home, the afternoon we picked up the glasses, Bunny broke the uninsured pair. Great start. The other pair, she was supposed to wear for watching TV, reading, writing and seeing the whiteboard at school. However, Bunny often took them to school and forgot to wear them. Then she’d lose them for a while, then find them and forget to wear them. I wasn’t used to seeing her in them so I too forgot. I was supposed to wear my own for driving and using the computer… but when I put them on I couldn’t see properly. Whilst wearing my glasses I couldn’t judge distances, so I didn’t feel they were safe for driving. I felt like I was intoxicated when I wore them. I just couldn’t adjust to the blur, so I gave up on mine after a few weeks. Last week, Bunny had a new eye test. They’ve said her eyes are not as bad as they had thought two years ago. 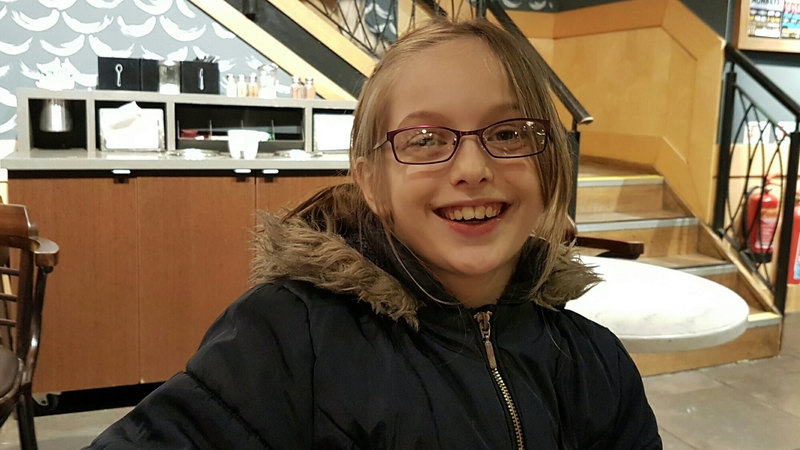 She has now been told to wear glasses all the time, to be reviewed every three months. Apparently she needs to strengthen the muscles in her eyes and temporary use of glasses should correct her vision. The opticians have predicted that in about a year’s time, she will no longer need glasses. As Bunny is older than last time, she was much more positive about wearing glasses. Some of her friends at school have glasses and she was excited to see if they’d like hers. Cue around 30 minutes trying to choose some new glasses. There really wasn’t even very much choice. We were told she could choose a designer pair for just £12 but when we went to pay for them they told us that meant she’d have to forfeit her second pair. So we had to start again. Most of the children’s glasses were too small or too babyish. As much as she loves Disney movies, she has no interest in wearing glasses which have Elsa up the side. She is quite conscious of how her choices affect the things that other children may bully her for. Eventually she chose her two pairs of new glasses; a pair of purple metal frames and a pair of black and lime green plastic frames. Bunny has worn these glasses religiously for the last week and I really think she suits them. I suppose I had better go back and have another test myself soon – I might need new glasses again too! 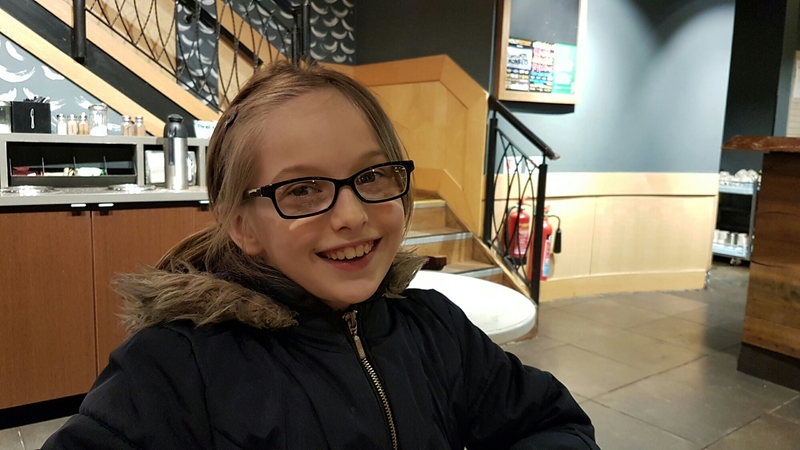 This entry was posted in child development, Health, Parenting, Shopping and tagged Children, Childrens health, eye care, eye test, glasses, health, opticians. Bookmark the permalink. Glad she’s found some that she likes. She looks really nice in them. 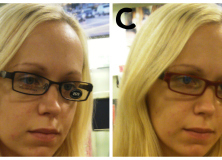 Finding the right glasses has always been a struggle here too and we’ve never had a spare pair! It’s easier to remember to wear them if you wear them all the time. My eldest doesn’t need to wear his all the time, so is forever losing them and goes weeks without wearing them! My daughter can’t cope for more than a minute without hers!